Mobile phone holder for your bike or car. Anytime, anywhere your phone at pollution.Very, also handy for your motorcycle or in the car! Easy to attach to your handlebars or to attach to the window with suction cup. Support for multiple smartphones available. 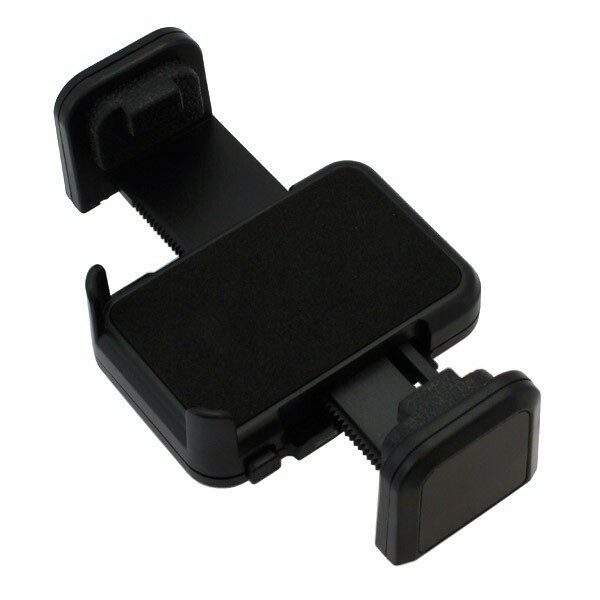 Suitable for universal phone holder Hi-174. Anytime, anywhere your phone at hand. The Universal Car Holder for mobile phones (hi-408) can be adjusted entirely manually. On the side of cradle you can make the terminals from each other via a push button to a maximum size of 100 millimeters. Place your phone in the cradle and squeeze the clamps until your phone firmly. If you want to take your phone out of the holder, you will have to press the button on the side of the holder and the terminals separate again. Please note that the holder has a minimum width of 53 millimeters and a depth of 16 millimeters, so not all phones will fit inside. For the container we have different fasteners: for on your bike or motorcycle and for the car. When you go to order you can select different combinations.